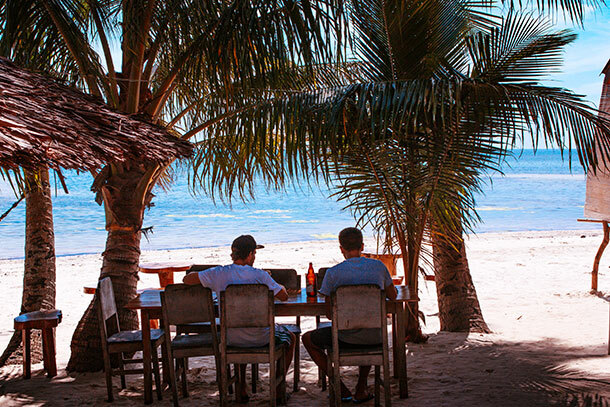 Siquijor in the Philippines is a fantastic island for backpackers because of its laidback vibe and affordable accommodations. And JJ Backpackers Village is definitely a great place for backpackers to stay. 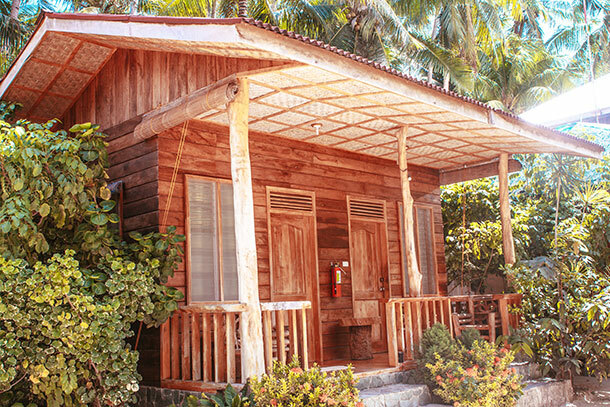 There are several accommodations that you can choose from when visiting Siquijor. Accommodations will range from budget hostels to mid-range resorts to luxury accommodation. But if you are just in for a couple of days or maybe staying for an indefinite time but would like to save as much as possible then budget hostels are the best place to stay. 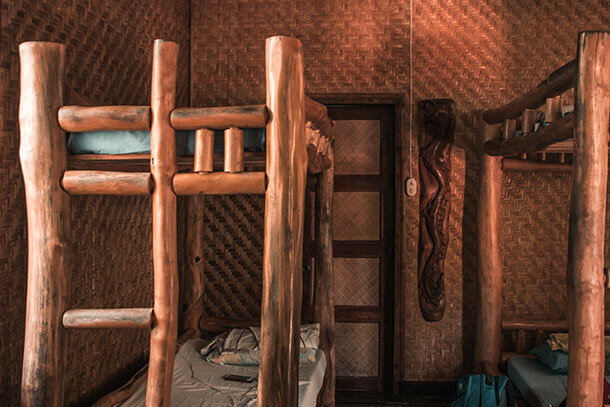 On our 2-day visit to Siquijor, we stayed at the JJ Backpackers Hostel. It was the perfect choice for us because we were in Siquijor for two (2) days. And the budget was a bit tight for us. What I loved about the hostel, aside from it being affordable, is that it has an incredibly gorgeous and peaceful beachfront. It would’ve been great too if we were able to spend a couple of hours enjoying it. A dip in the ocean and some relaxing day lounging around would’ve been perfect. But it was a pretty short trip, so maybe next time we can spend an entire day here. 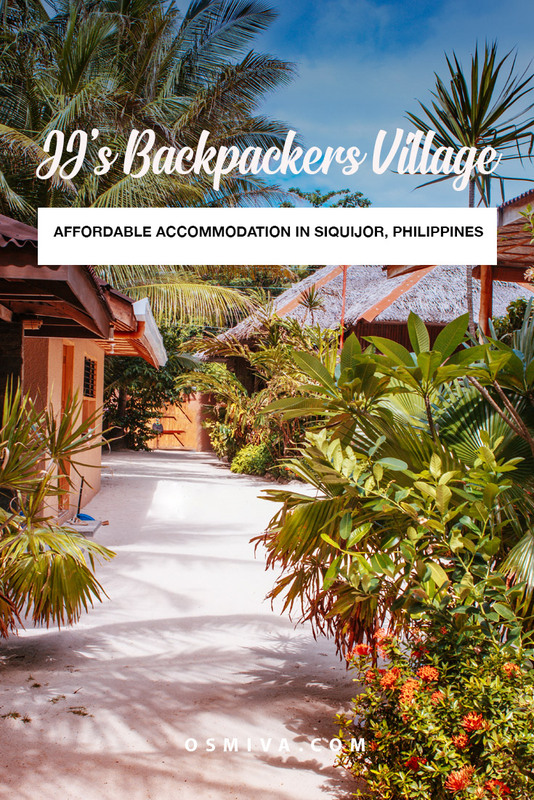 If you are wondering how our stay went, here’s our review of JJ Backpackers Village in Siquijor, Philippines! We did not pre-book a room before arriving in Siquijor. In fact, we were approached by a hostel owner near the Siquijor Marker as we were beginning our Siquijor Coastal Tour. After visiting out the other hostel, we decided to check out the availability of the JJ Backpackers Hostel. We were actually not expecting the hostel to be available as sometimes they can be fully booked. Plus it was the weekend and the possibility of tourist influx was there. Fortunately, there were available rooms and bed spaces for us, allowing us to book an overnight stay. If you want to book a room, you can check out their FB page for reservations. As per our booking, they do not accept advance reservations for overnight stays. Only for 2 nights or more. If you are coming from the Siquijor Port, you can ride a motorcycle or a tricycle. Tell the driver to drop you off at the hostel in San Juan. As mentioned above, we did not pre-book a room prior to our arrival in Siquijor. When we arrived, our friend approached the reception and waited for confirmations. Thankfully, there were available rooms for us. But since it was still early, we did not get to check in early. We were allowed to leave our things at the reception area nevertheless. We booked one fan room with standard double bed and three-bed spaces in their mix dorm. Room rates vary depending on the room type. As of writing, room rates start at 800 Php for Standard Rooms and 400 Php per head for Dorms. My husband and I shared a Standard Double Bed, with shared Comfort Room. While the rest of my friends were in a mixed dorm. Our room was pretty simple and basic. There was no ACU as it was a Fan Room. But it was pretty cold at night and we did have a good night sleep. Though you can pretty much hear the conversation next door and the room in front of ours. LOL. We also had a bedside table/ drawer where we could place our bags and some shelves to put some of our things. There was also a small table and a chair. I rather liked the hooks on the wall for the hanging of damp clothes. The room we had had a small balcony and we needed to leave our shoes and slippers outside to keep the sand from the room. As the name implies, the hostel does feel like a village. There is the main gate for people getting in and out of the property. 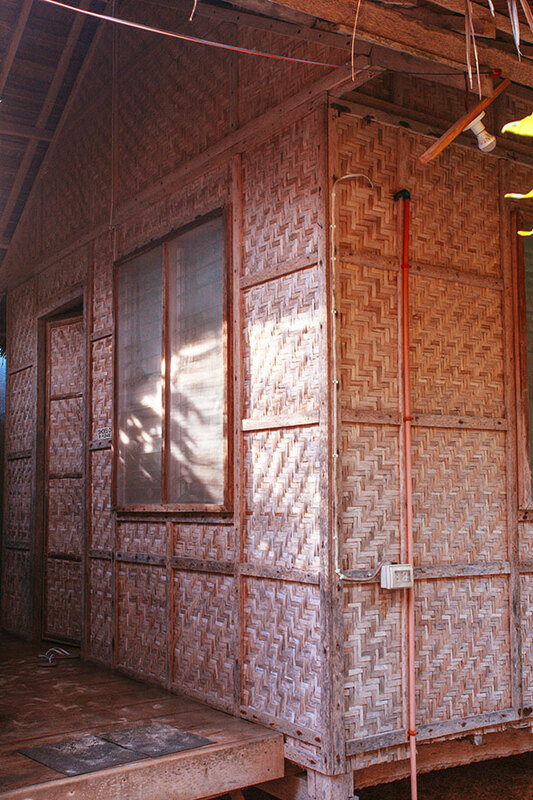 And the rooms are not located in one building but small ones arranged in the property – making it appear like small houses. 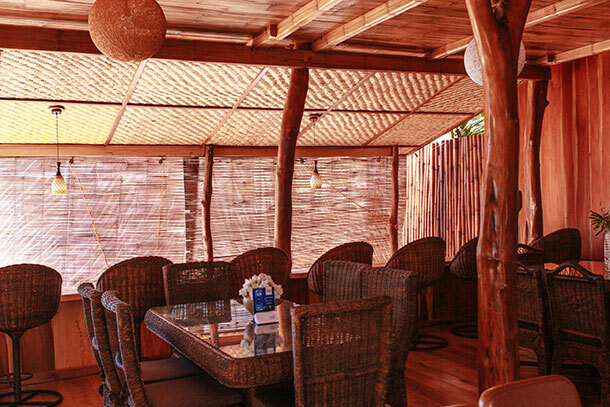 JJ’s Backpackers Village has a restaurant fronting the beach. It’s pretty chic with blinds made out of wood to keep out the heat. Like most of their rooms, you need to get inside barefoot. They also have a bar beside the cafe/ restaurant for people who like to have a drink before retiring for the night. Like what I have mentioned before, their beachfront is pretty great! There are tables and chairs under the shade of the coconut trees for people to just sit in and relax. You can also pitch a tent here if that’s your thing. Just remember to ask permission first, of course. On the night of our stay, there were people having a bonfire at the beach too. Though we did not stay and join in as it was a tiring day and we were doing the Mountain Tour the following day. Common bathrooms are also placed outside for everyone to use. Shower rooms were located near our rooms at the back while another common bathroom was located nearer the centre. There is also a sink for guests to wash their utensils and some racks to store wet utensils too. On the day of our check out, we left the hostel at around 7 AM as we needed to start the spelunking at the Cantabon Cave early. We initially made sure that all our things were packed before leaving. When we returned at around 12 NN, we just hurriedly washed and placed our belongings in the bag and were ready to go. The management kindly allowed us to extend up to 1:30 PM. Though we (my husband and I) have already left the room and just did some last minute packing near the dorm room where our friends were staying. After check-out, we were dropped off to have some lunch at a restaurant near the Siquijor Port. Over-all, our stay was pretty relaxing at the hostel. We never did encounter any problem at all and the staff were pretty nice and accommodating. Have you stayed at this hostel too? Share your experience with us on the comments below! The beachfront view is amazing! I think I would stay here just for that. That beach though! 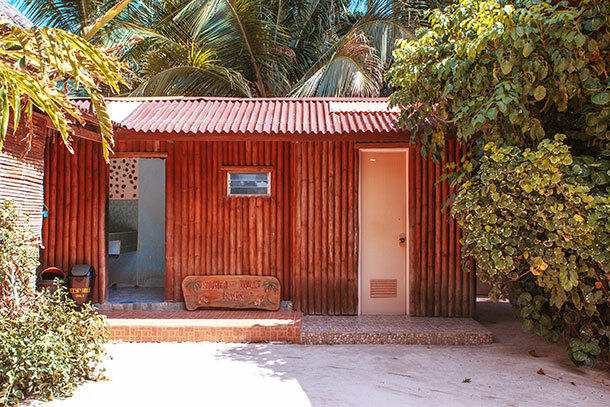 This looks like a relaxing place to stay at the beach. The restaurant looks good too, with a nice ocean view. Too bad you couldn’t stay longer. I love the beach front location. You guys are lucky the hostel wasnt booked. Great tips. 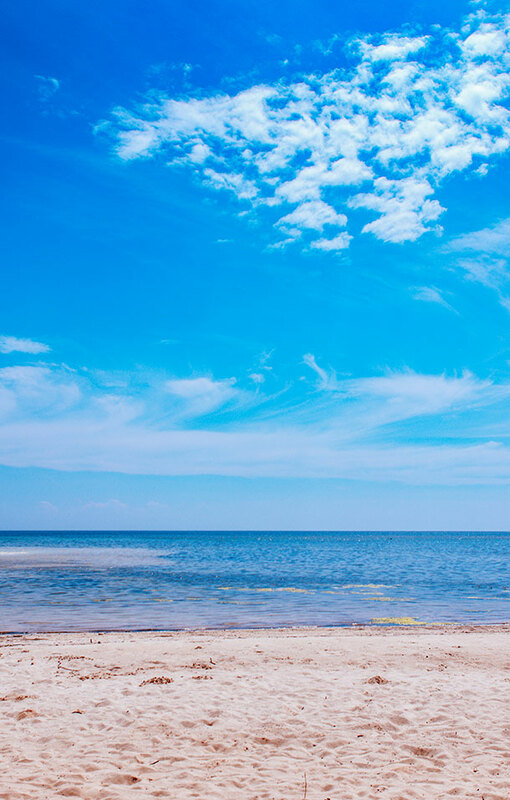 Great tips for an affordable vacation. Looks to a beautiful spot to stay. I would do fan rooms and shared bathrooms for that view! Wow! I don’t know if I’d come in from the beach bonfire honestly. I’m not usually big on hostels, but that beach view might just convince me to check this place out if I ever make it there. 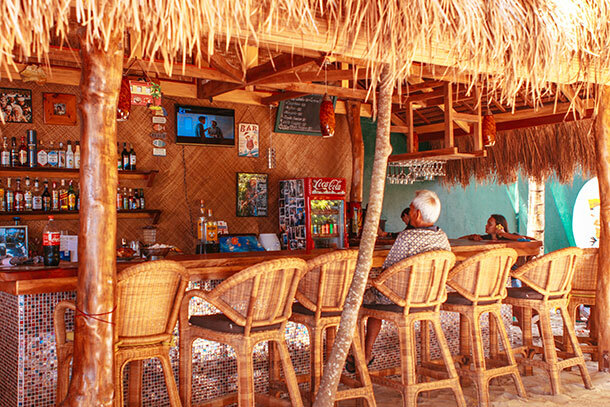 Relaxing at the bar on the beach would be the perfect way to spend an evening. I like the beach and village vibe of the place. Glad to read the hostel is peaceful, not a party hostel. 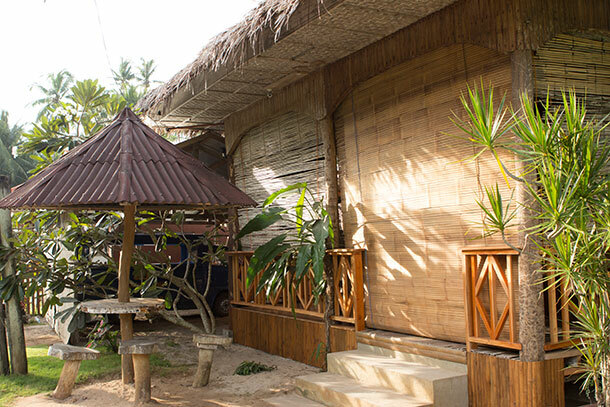 Peaceful hostels are a good option for all budget travelers. 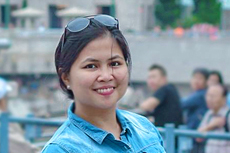 Not only for solo budget travelers, but also for families who travel on a budget and can opt for a private room. I don’t usually stay in hostels because they just aren’t my thing. I prefer my own private space haha. But it’s nice that this one is right on the beach! ANd that it’s peaceful and good for people who don’t just want to party.